Behold, my first Sunday Times splash. This story started as a quick trawl of local councils to see if cuts to local government budgets were impacting on the cost of council services. Short answer: yes. Everything from nursery provision to cemetery fees have seen charges hiked, or introduced for the first time, in councils across the country. Struggling to make ends meet, councils are making big asks of their residents. But while the frontline staff scrabble for funding, council chiefs are still earning vast sums. 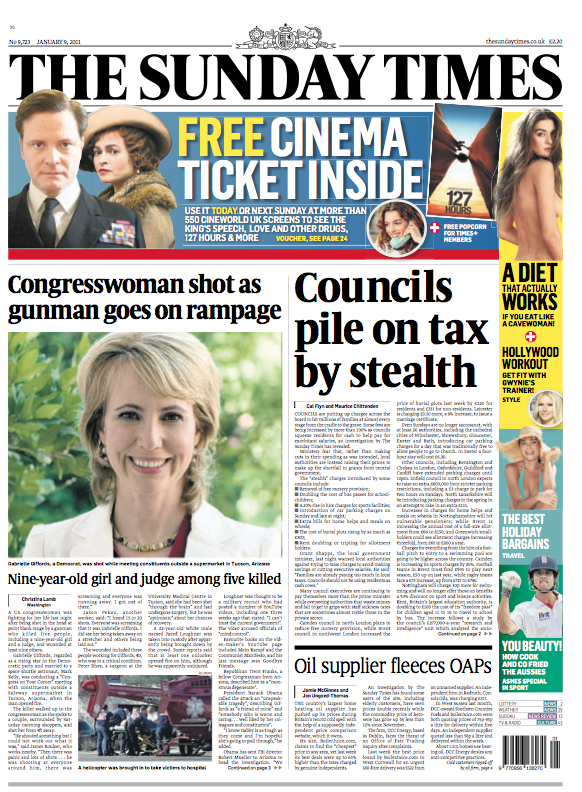 The full story is on the Sunday Times website here, or after the fold. Combing through the accounts of government quangos for another story, I stumbled on this bumper paycheque at the government-owned Tote. 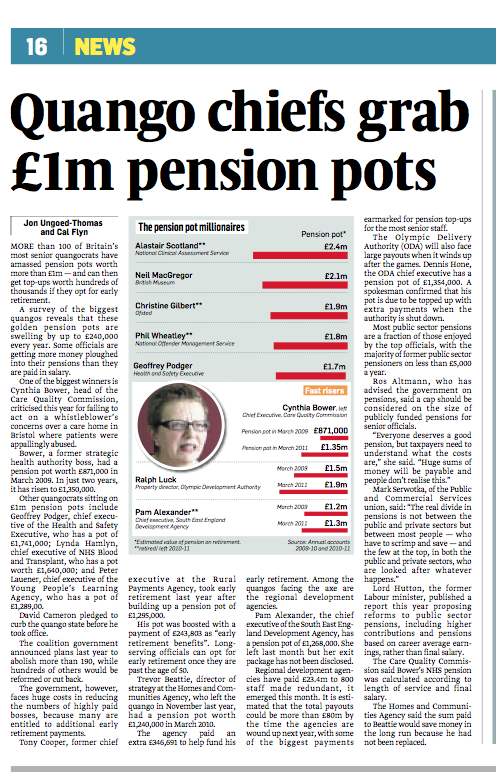 This Sunday Times article is the result of an FOI request I made to the BBC, which revealed two ‘mega’ redundancy pay-outs. 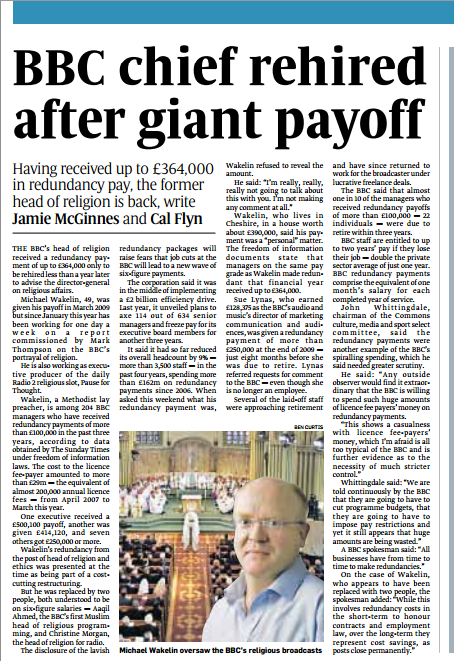 One was made to the head of religion Michael Wakelin who was rehired only months later, the other went to market executive Sue Lynas, who was months from retirement. Both payments had been portrayed as cost-cutting measures. Full text is on the Sunday Times website here, or read on.